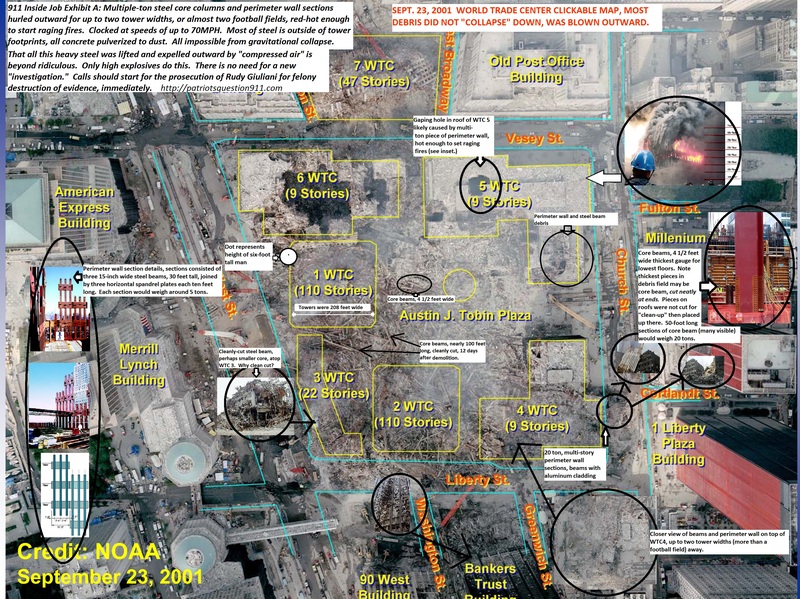 Thread: Were the laws of thermodynamics broken on 9/11 in addition to the laws of physics? I cannot go too much for the 911 "truthers" debate equating to a debate about religion. At least the people that are religious were consoled some by their faith, as they laid to rest their loved ones post 911. These same 911 survivors while reading these "truther" debates IMO, will just get the feeling akin to a knife running through their gut. Not a feeling I have ever endured, when sparring with anyone about my religious beliefs. There I was a few months ago...in a hospital bed...again...just finished getting 8 BIG freaking stones out of my kidneys. The nurse asked me how I felt, so....I told her it felt like someone stuck a knife in me and twisted it. "That would have been Dr Campbell." 1.a tendency to do nothing or to remain unchanged:"the bureaucratic inertia of government"
2.a property of matter by which it continues in its existing state of rest or uniform motion in a straight line, unless that state is changed by an external force. Cascading failure, as the floor trusses let go. Separated from the exoskeleton, as noted. Not being a structural engineer, I hadn't recalled THAT detail, but it's all part of the same. And the mass of the floor that just failed and let go, coming down on the floor below. You can let your car roll gently against a tree trunk, and it just stops it. But let it roll against the tree trunk at 20 mph, and see the damage. So. High heat caused failures/separations of the floor trusses (variously) and that heavy pancake of concrete starts moving. WHILE the whole exoskeleton framework is weakening from the intense heat. It's just lost one of its bracing structures. Then the concrete slab lands on the floor below and THAT one is torn free, both of them moving downward. Now it's TWO series of bracing subunits torn free. In intense heat. And it all comes tumbling down. Last edited by JustPassinThru; 02-11-2019 at 08:48 AM. The heat and fires in the buildings were no different than any of hundreds of steel-frame building fires in history, and far less severe than many. You need to remember jet fuel is only kerosene, and burns no hotter or longer than what you put in your hurricane lamp or start your barbecue with. And most of it was blown out in the fireballs anyway, about 10,000 gallons which is a half-fueled 767 bound for California. A full load would be about 25,000 gallons. That's why tall buildings are all made with steel. A large fire might gut it, cause partial buckling in areas and partial collapse, but never total failure of a structure, and certainly not in seconds. Steel is too strong, and the frame is interconnect with cross-bracing and gusset plates that transfer load from compromised columns to sound ones. The fires were confined to the impact areas and already going out, as evidenced by the black smoke of cool, oxygen starved fires. Firefighters inside were on the burning floors, and reported that the fires were almost out, which is what you would expect from fire retardant furniture and absent a forced oxygen supply like a strong wind. Here is a witness who was on the 78th floor of the South Tower who described the fires as "Flames licking the wall, starved of Oxygen". Thermal imaging shows there where no raging hot fires anywhere in the building. "Ladder 15, we've got two isolated pockets of fire. We should be able to knock it down with two lines (hoses)"
So you had solid structure for the lower three- quarters of both towers, which then comes plowing down on itself, ejecting multi-ton beams and perimeter wall for a quarter mile around, mostly in straight pieces, then you find nanothermite in the dust and molten steel in the basements, and other parts of the story like an amateur pilot flew a circle dive around the Pentagon like a Chuck Yeager and nailed his target with plus or minus ten feet. Once you study the official account the real nutters are the ones who believe it. Man trying to light jet fuel on fire, it's only kerosene. Last edited by munkle; 02-11-2019 at 05:22 PM. You can't light kerosene on fire with a match. Not enough heat. HEAT does it. A spray of kerosene, or diesel oil, will create a fireball when the temperature hits the flash point. The Fire Triangle: Heat, Oxygen, Fuel. How hot do you think a jet engine is when operating? Last edited by JustPassinThru; 02-11-2019 at 05:20 PM. Have you seen the fireball that comes of plane crashes? WHY do so many stupes INSIST on pushing this kind of disinformation? Yeah. Fire has never melted steel, either. Except for every single foundry that ever was. I have a kerosene lamp I light with a match. Diesel, or jet fuel, is a safer fuel than gasoline, for this resistance to ignition. It has to do with its vaporization point - much lower with gasoline then with kerosene or diesel oil. Gasoline fumes in a stoichometric mix, will explode or, in controlled settings, like an engine cylinder, burn evenly but quickly. Kerosene will not vaporize this way. Diesel even less so. Not sure why a kerosene lamp lights off a wick with a match...I suspect it starts with a burning of the wick. Not much, of course, as the fuel is wicked up and the flame continues off the fuel - the liquid sucked upward, protecting the wick, and then burning in the flame. If you want to see the difference, fill a kerosene lamp with gasoline. Do it with an asbestos suit. #BlackLIESMatter---Martin Luther King Jr. was a REPUBLICAN! The Democratic Party. The party of the STUPIDS, for the STUPIDS, by the STUPIDS. I VOTED FOR THE PRESIDENT! Political Correctness is HATE SPEECH! THE GREATEST DANGER TO THE USA IS THE DEMOCRATIC PARTY! So what are you doing here on the conspiracy forum? Last edited by munkle; 02-12-2019 at 02:41 PM. Can't speak for Dan40, but I would think his answer is: "Debunking Conspiracies...."